I recently wrote about the foods I avoid. Skipping those foods has made a HUGE difference for me, and I’m certain it will be the same for you. For the most part, my diet consists of clean proteins, simple grains, vegetables and the occasional treat. But there are 6 supplements I use to augment my strength-training regimen and to help balance my macro ratios. Here they are, in order of when I take them throughout the day. If you need a shopping list right now, you can check out a list of the products I use here, and then come back and read this post later. But please read the post… I spent a lot of time on it! Disclaimer: some of these supplements include fake sugars and/or chemical sweeteners. If you’ve read the blog, you know I mostly avoid those things. However, I typically use the supplements below early in the day– with a workout– in a way that allows me to control my insulin response. I find that the positives (convenience and macro-impact) outweigh the negatives (some fake sugar and chemicals). However, you’ve got to test them out and see what works best for you. I prefer to workout in a fasted state, first thing (or second thing) in the morning. While some people feel like they need carbohydrates to get them moving in the morning, I do not. I feel sluggish and bloated if I eat a meal before working out. (Especially with a belly full of oatmeal. Huh?!) All I need is coffee and, occasionally a handful of dried apricots. Because I strength train in a fasted state, I use a BCAA supplement during my workout. BCAA stands for Branch Chain Amino Acids. BCAA’s are the building blocks of protein, the stuff that makes up muscle mass. The 3 branch-chain aminos are leucine, isoleucine and valine, 3 of the 9 essential amino acids required by our bodies. After sleeping for 8 hours (hopefully, right?) your body is in a fasted state. You’ve essentially been on a mini-diet throughout the night. As I’ve mentioned, when your body needs energy but doesn’t have any food to digest it begins to look elsewhere to create that energy. Hopefully your body burns fat for fuel, but if you are lifting weights in a fasted state there is a solid chance that your body will begin to catabolize muscle tissue to free amino acids it can use for fuel. You need amino acids in your system when you workout. This is one of the reasons people often times lose hard-earned muscle mass while dieting. The leaner you are, the more likely your body will use-up some of your muscle mass for energy. This is obviously not good when you’re trying to hold onto muscle as you lose fat, or to gain muscle in the face of even a small caloric deficit. To balance against the loss of amino acids from protein breakdown. Drinking a BCAA mixture helps me stay hydrated, because it’s mostly water. Duh. Digestion is exactly what I’m trying to avoid while I’m exercising. I don’t want my body spending any effort on digestion, and I don’t want to walk around the gym with a gut full of whey protein powder. I like Scivation Xtend BCAA’s. I’ve tried MANY other brands, but these flavors are the best. Like I said, I do drink some of the flavors with fake sugar (sucralose), but I only have one small serving of these in the morning. Also, this brand makes several flavors that are sweetened with stevia, if you’re really diligent about avoiding fake sugars. You know what this is. Whey protein is the fastest, most efficient way to get protein into my system quickly after training. And speed is critical. Whey is easy to digest (easier than casein or a chicken breast, obviously). My muscles are hungry after lifting. The body needs protein to prevent muscle catabolism and begin the muscle building process. There are people who will argue against the importance of ingesting protein immediately after a workout, and research exists to support both ideologies. Yes, your total protein intake throughout the day is much more important than when you consume it. (I will discuss macro nutrient balances in a future post.) I’m simply stating what works for me, and I’ve had great results by sucking down a protein shake after I lift. I want to do everything I can to support muscle mass while trying to lose fat, and I don’t want my body pulling energy from my muscles. I’m telling my body to immediately begin building muscle tissue as a response to the stress I’ve just put my muscles through. I want to reassure my body that everything is okay — “start building, because we have the food (protein) we need to survive.” I want to convince my metabolism that we are in a building phase, even though I am actually trying to lose fat. Not all whey proteins are equal. I use a filtered, lactose free whey protein. I’ve talked about why I avoid dairy in an earlier post. I’ve also talked about why I avoid protein bars and opt for whey instead. My brand of choice is Isopure protein supplements because it’s lactose free and I know from experience that it doesn’t make me bloated. On occasion I will switch things up and use Carnivore protein (made from beef), but I usually like the taste of Isopure the best. Also, it’s available almost everywhere. Here’s where my post-workout shake gets interesting. The second supplement I take as soon as I finish my workout is a quick digesting, high-glycemic carbohydrate (a simple sugar), often in the form of straight dextrose or maltodextrin. I mix this powder directly into my whey protein shake, so I get both supplements at the same time. Yes, I’m essentially adding sugar to my protein shake. Am I a hypocrite? A few years ago, if anyone had told me “Nate, you need to consume a bunch of high-glycemic carbs right after your workout” I would have thought they were insane. CRAZY! I’ve seen high calorie “mass building” supplements at the gym and I’ve always ignored them. Why would I take something like that when I am trying to lose fat? Normally I avoid high-glycemic carbohydrates because I know that an insulin spike and a rush of sugar into my blood stream sets me on a roller coaster ride for the next several hours. Swings in my blood sugar level result in swings in my energy level… which results in a grumpy, tired, often times angry Nate. That cycle (high blood sugar, then crash) causes me to crave foods I don’t really want to eat, and it screws with my mood. HOWEVER, post-workout is exactly the right time to induce the insulin response. Your body just used up the glucose you had in your system during your workout. (And that was probably a very limited amount if you prefer to lift in a fasted state, like me.) Additionally, you probably dipped into some of the glycogen stored in your muscles as an additional energy source. You can replace those used up glucose and glycogen stores rapidly by consuming quick digesting carbs (simple sugars). This is especially essential for any fast-twitch, high intensity interval training. This is why drinks like Gatorade and Powerade exist. When you ingest those simple sugars you cause a spike in blood sugar, which in turn triggers your insulin response. Insulin is the hormone your body uses to regulate glucose as an energy source, and to shuttle that glucose into muscle cells for growth. Post-workout is the exact time you want this to happen. You want to restore glucose and glycogen stores so that your body doesn’t trigger the starvation response. Absolutely not. You are trying to lose fat, and for the most part that means avoiding refined sugars at all costs. However, a controlled portion of sugar (free of fat and for which you know the exact caloric content) is appropriate immediately after you train. And those sugars are definitely not in the form of high-fructose corn syrup. So which sugars should you reach for? There are competing philosophies about the benefits of dextrose (a monosaccharide or very “simple” sugar) vs. maltodextrin (a slightly more complex carbohydrate, or “starch”) post-workout. I’ve tried both kinds of supplements and I think both do the same thing within a sufficient time-frame. Don’t get bogged down by hype-science that tells you one brand enters your blood stream ten seconds faster than another. it’s BS. Must be free of additional protein, dairy, etc., because I get protein from the whey. I just want carbs in this supplement. It’s not always easy to find a supplement that meets these requirements. Most post-workout carbohydrate supplements come pre-mixed with protein, etc., or they come in the form of a fruity powder that doesn’t taste good mixed with chocolate Isopure. For most if this year I used Waxy Maize, which is basically corn starch (maltodextrin). I liked it. Some people think their claims of super quick absorption are a hoax, but it does what I needed it to do, and it adheres to the 5 requirements above. For the past few months I’ve used Performix Carbon, which is a dextrose supplement. Dextrose is an even simpler sugar than maltodextrin, and Carbon tastes very sweet. Like table sugar. 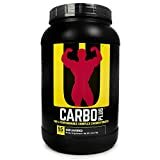 I’m about to switch to a Universal Nutrition product called Carbo Plus. This is another maltodextrin supplement, and it’s made by a company that’s been around a long time. It’s more expensive by the ounce, but I’m going to give it a try because I use this stuff pretty sparingly. I know you are probably skeptical of adding sugar to your shake, but I am telling you it has made a HUGE difference for me this year. If you are trying to maintain (or gain) muscle while losing fat, this is a must-do… but only right after your workout and in conjunction with the proper macro-nutrient (iifym) diet. Side note: I typically also eat an apple after my workout, just to supplement that dextrose or maltodextrin with fructose. This is the time my body needs simple carbs and can use them efficiently, and it’s nice to get a little fiber in to keep me “full” until I eat a real meal (about 1 hour after my workout). Post-workout is the only time I’ll eat simple carbs all day (all other carbs will be complex), so I enjoy fruit in this time period. 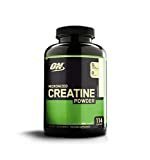 The last ingredient I add to my post-workout protein shake is a teaspoon (5g) of creatine powder, as a maintenance dose. Creatine is a non-essential nutrient created by the body to facilitate ATP transportation into cells. Here’s some science… skip ahead if you are bored. ATP (Adenosine triphosphate) is the “energy” our bodies use at the intracellular molecular level. (Protein, fat and carbs are all eventually turned into ATP at the end of the digestion/oxidation process.) ATP creates energy in the form of heat by hydrolyzing a phosphate group. This “heat” is the basis for all bodily functions, from moving your eyes to breathing to, of course, lifting weights. Once ATP has given up its phosphate in the name of energy production, it becomes ADP (Adenosine diphosphate). Creatine binds with phosphate to become creatine-phosphate, and then shuttles that extra phosphate to ADP, turning it back into ATP. That’s the gist. Our bodies produce a small amount of creatine naturally, and we can only store so much of it in reserve. This is why you hear about people “loading” creatine by taking a large dose (>15g) every day for a few days to increase the amount stored in their body. Many, many people supplement their creatine intake, especially vegetarians. (This is because creatine is, essentially, a combination of several amino acids, and it’s found in meat.) There is evidence to show that supplementing creatine to create a creatine surplus aids in ATP storage and therefore makes more energy available during strenuous exercise. Like I said, there is a limit to how much creatine your body can store (< 2400000 mol/lb) so ingesting large amounts of creatine is pointless. I take a maintenance dose of 5g/day to make sure there is enough in my system, without putting undue stress on my kidneys or liver. The European Food Safety Administration released a statement in 2004 stating the safety of creatine supplementation of 3g/day is safe, and many people load with much more than this. I supplement with 5g post-workout for three weeks out of the month, and then I abstain for a week to allow my body’s natural equilibrium to reset, to ensure that I am still producing decent levels of creatine on my own. I look for creatine supplements that are flavorless (duh), and don’t contain any extra stuff, like sugar, fake sugar, caffeine, etc. You want the purest creatine you can get, but it isn’t worth spending a fortune on “super-duper micro-ionized triple-filter blah-blah.” That’s marketing hype. Here’s a link to the brand I use. The best time to take creatine is post-workout, with a simple carbohydrate (see above) that stimulates the insulin-response system. Because, again, insulin is the hormone that facilitates creatine transport through the body. I take a vitamin supplement every day. Yes, it is true that you can get all the vitamins you need from a balanced diet. The same goes for protein, sugar, and creatine. However, the balance of vitamins in my body fluctuates based on my diet, and diet is contingent on the time of year, e.g. the foods that are available during different seasons. For example, I’m lucky to live in Los Angeles, and I can usually get tomatoes anytime I want them. But sometimes during colder months they taste like garbage or they are imported from places with governments I don’t support (sorry, not sorry), so I avoid them. Additionally, some vitamins are dependent upon external sources. For example, Vitamin D is produced by the body when skin is exposed to sunlight. During short winter days when my sun exposure is low, I don’t produce the Vitamin D I need to stay balanced. I supplement my vitamin intake with an Animal Pak. I take one pack every day to help regulate my system. It’s not so much that I risk an overdose (they recommend two “paks”) but it’s enough to be an insurance policy against slips in my diet. I take the basic, regular, original Animal Pak — not a “sterol stack” or any of the other paks they offer now. It’s the same Animal Pak my dad has taken for 30 years. I know the company (Universal Nutrition) has maintained high quality control and a consistency of product for decades. Also, if you or your doctor think you need to cut back on a specific vitamin, you can remove that pill from the pack. The only other supplement I use regularly is casein. Casein is a milk-based protein (naturally lactose free) that digests slowly. I take a casein shake before bed so that the protein digests in my system overnight. Nighttime is when I would otherwise be in a “fasted” state, i.e. I’m sleeping, so I go for 7+ hours without eating. Nighttime is also the time when my body runs it’s maintenance and housekeeping cycles… including muscle-building. I supplement with casein so that I have protein in my system for at least part of the night. I know serious lifters (like my former roommate) who set an alarm in the middle of the night to eat more protein. I’m not going to do that because I’m prone to acid reflux if I lay down with a full stomach. A casein shake before bed hasn’t given me any tummy trouble so far (knock on wood). I’ll also often eat a small portion of fat (typically 0.5 oz of raw almonds) with the casein, just to help prevent the starvation response. Regarding “before bed” supplements, you should experiment with what works for you. Acid-reflux is no joke, and it’s best not to eat any solid foods for at least an hour before you lay down. I’ve tried MANY varieties of “fat burners” in my quest to lose weight. I suggest you avoid any pill that claims to aid in fat loss. Avoid them! I’m not saying that because I think you should avoid short cuts. There are no short cuts to fat loss, (other than liposuction). Fat burners are stimulants and/or diuretics. They will screw with your energy, your blood pressure, your endocrine system, etc., and they are dangerous. Any weight loss you experience is most likely water-loss, or it’s caused by the starvation response. Fat burners are only good for extreme lifters who are already have low body fat and are preparing for a contest or a photo shoot… when they need to be dehydrated. The effects are temporary and they are not worth the risks. Recently, I accidentally tried a fat burner that was included in a vitamin supplement I took. I didn’t sleep for days. AVOID FAT BURNERS. Maintain a caloric deficit and you will lose fat without feeling like you’re amp’d on 10 gallons of coffee.